Orange CA | Flue Steam Inc. When you visit Orange CA, you can enjoy “A Slice of Old Town Charm,” or so the city’s motto promises. It is certainly true that Orange CA has an unusual abundance of pre-1920s bungalows. The city decided to preserve their old town in the 1960s, when most other California communities were tearing down old homes and businesses to build new ones. Now the 1-mile square area around downtown Orange CA is a tourist attraction and point of pride for the city. Of course, not everything about the past is worth preserving or emulating. For example, today we have better fire prevention technologies and code standards. 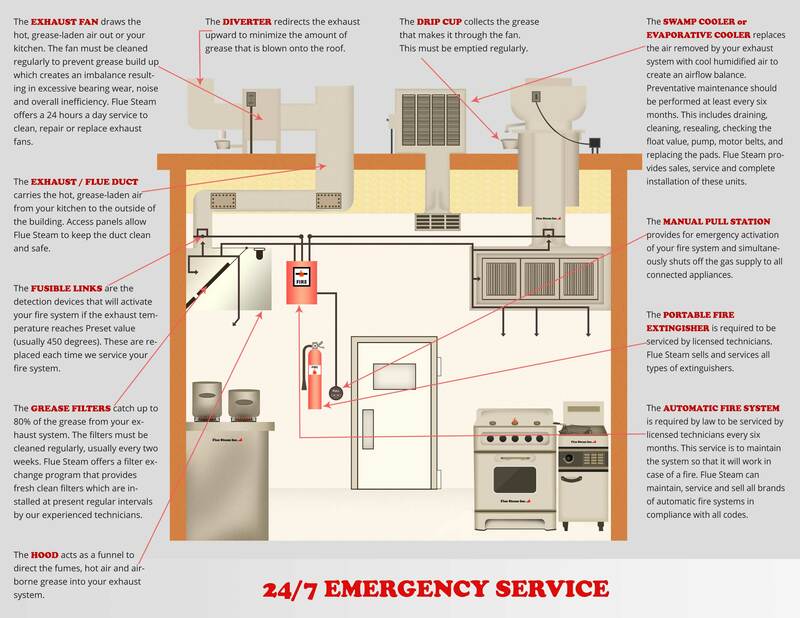 Flue Steam can help your commercial kitchen stay in compliance with local fire codes and help prevent grease fires from igniting in your ductwork with thorough exhaust system cleanings and high-tech automatic fire suppression systems. We also service swamp coolers and provide convenient grease filter exchange services.